After a limited launch in five countries, BIGMAN Entertainment has announced the release of BIGMAN Slots for Facebook users worldwide. The game is the first of many Spin4Free social casino games scheduled for release this year, and features new content and slot machines thanks to a recent game update. 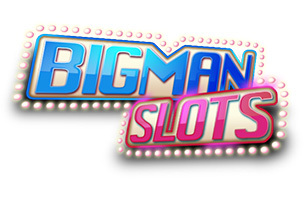 BIGMAN Slots now features seven different slot stages, including two new offerings: Barktropolis and Fortune Square. On each slot machine, players can customize their experience by changing their bet per line or number of active lines per spin. Social features see players sharing and earning coins with friends instantly. Outside of slot machines, players can earn additional currency by interacting with the game’s Facebook fan page, sharing posts with their friends or simply inviting others to play the game. “Our expertise and understanding from online games will continue to prove that we are fully equipped to offer a premiere gaming experience for our international players.” said Jun Lee, Founder and CEO of BIGMAN Entertainment. BIGMAN says it has “massive amounts of content slated for this upcoming summer and strategic plans to make a huge splash in the social casino industry.” For now, BIGMAN Slots is now available to play for free on Facebook. Check back soon to follow the game on AppData, our tracking platform for mobile and social apps and developers.